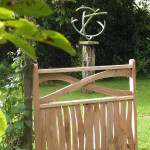 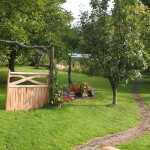 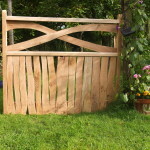 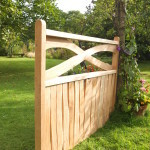 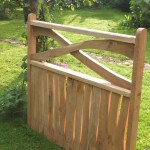 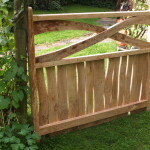 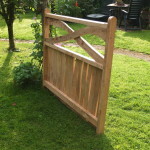 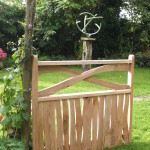 I made this gate as a speculative piece to show a the Stock Gaylard Oak Fair – where it received quite a few complimentary comments and has inspired my to put a stand together for next year. 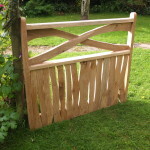 The gate itself is a conflaburation of the design for the manor-house gates (for which I am awaiting the final go-ahead) and earlier split oak fencing and gates (Plumber Manor and Studland). 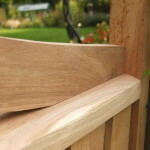 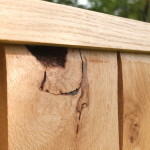 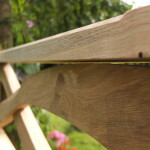 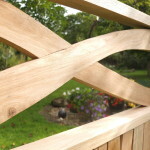 All right angle joints are blind mortice and tenon. 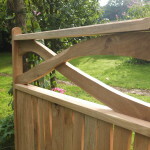 The gate was made in a bit of a hurry so the joints aren’t quite as fraction-of-a-millimetre perfect as I might like them but they’re not far off and I’m pretty happy with the final result.